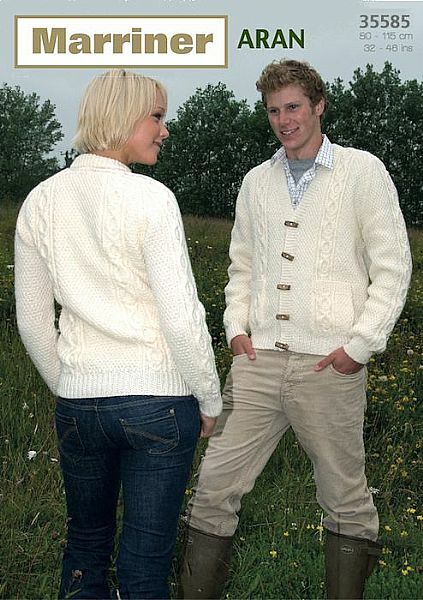 These cardigans feature Double Moss stitch and Cable designs, with the option of round or V-neck and pockets. Knitted in Aran yarn great for colder days. Hooks required 2-33/4mm ( UK 9-USA 5) and 2-41/2mm ( UK 7- USA 7) Knitting Needles. Cable needle.